The Award recognises those individuals who have made an outstanding and enduring contribution to the University and its scholarly community. This includes academic and professional staff members who, through their professional work, teaching, research, scholarship, or institutional leadership, have contributed to the University’s advancement as a public education institution and contributed to the intellectual and public life of the broader community. Professor Angus was Head of Department of the Department of Pharmacology from 1993 - 2003. He was appointed Dean of the Faculty of Medicine Dentistry and Health Sciences in 2003 and completed a 10 year term as Dean in July 2013. He has served in a number of other roles within the University including President of the Academic Board (2000-2001), Pro Vice-Chancellor (1999-2001) and member of University Council (1999-2001). He is presently an Honorary Professorial Fellow and Professor Emeritus in the Department of Pharmacology and Therapeutics in the FMDHS. Bronze plaques interspersed along Professors Walk on the Parkville campus of the University of Melbourne acknowledge recipients of the University of Melbourne Award. 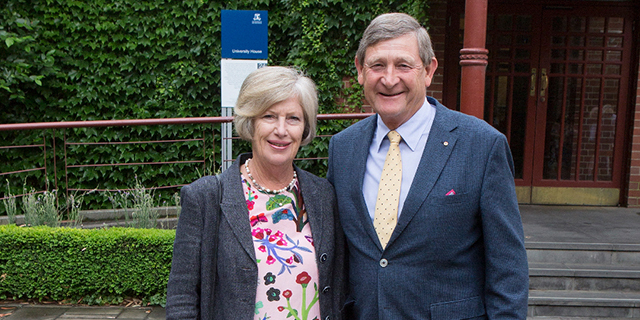 See full listing of University of Melbourne Award Recipients.